I probably shouldn’t admit how much I LOVE this brush. It is surprisingly versatile! It has a narrow, rounded tip that is suitable for smudging eyeliner, and also for VERY precise crease definitions. I’ve been on a brush kick lately. 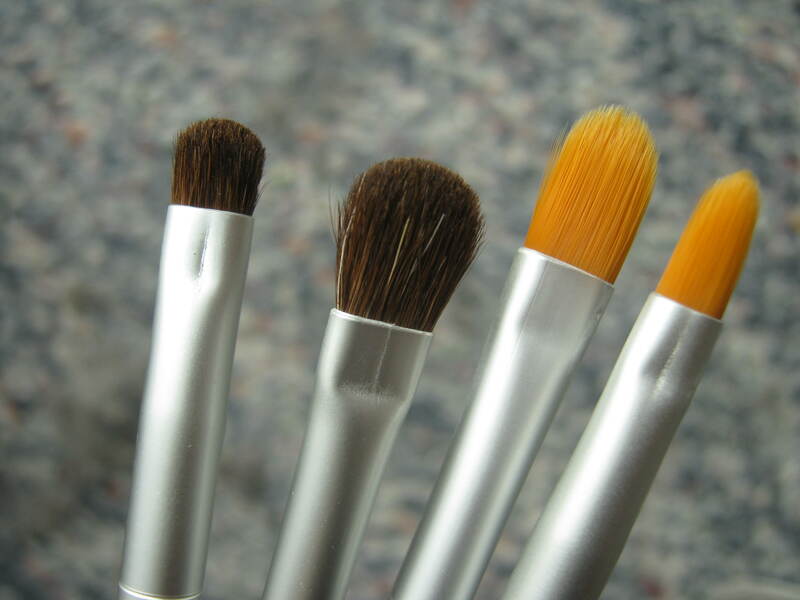 Even when I HAVE a brush I like, I’ve been wanting to compare it with more easily labeled makeup brands(many of my favorite brushes are un-numbered Japonesque brushes, or cheap drug store brands. It’s nice having something specific to recommend. 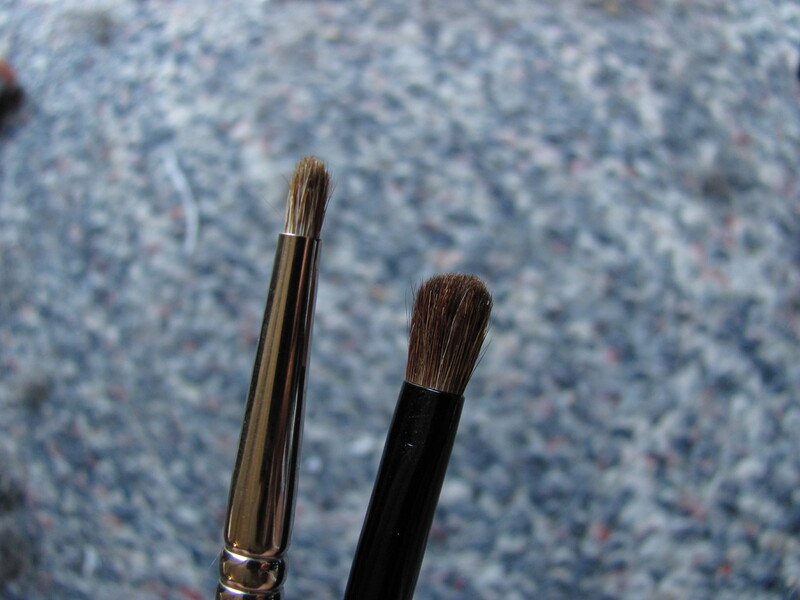 The other brush is the sephora point smudge brush, which I bought at teh same time. my local Beauty First store had this brush set for half off. Full Price is 19.95. So that makes it around $9.42? It’s a good price to me! 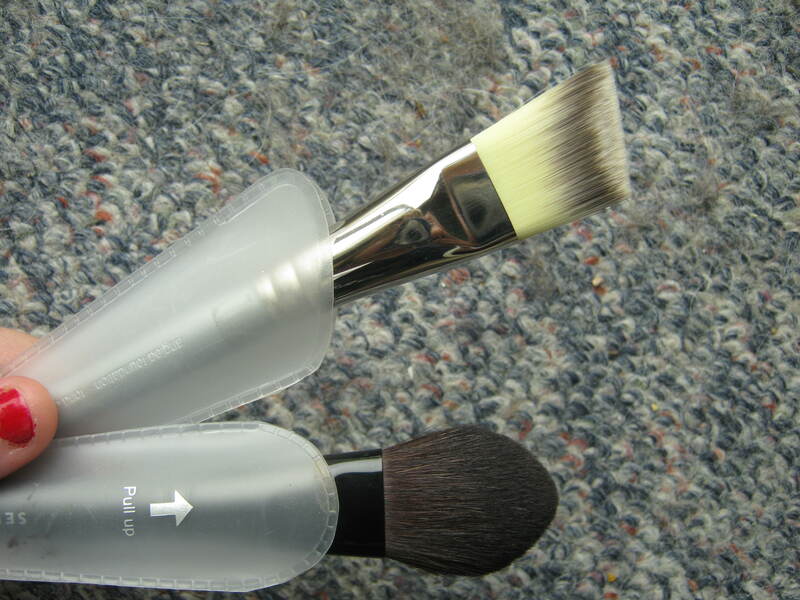 This kit has five brushes, and a metallic tube for carrying them in. I’d recommend checking your local sephora FAST if you need a new foundation brush. I was just in today, and there was a whole PILE of clearances, including their holiday collection. The Foundation brush was on sale for 15$, and the blush brush was on sale for 10$. I’m sure I don’t have to say that regular prices for these babies, or similar, is usually 30-50$ depending on the retailer.